Coromandel is a long-established and family owned British company with an excellent reputation for supplying exclusive and exceptional hand-embroidered crewel fabrics at a surprisingly affordable price. 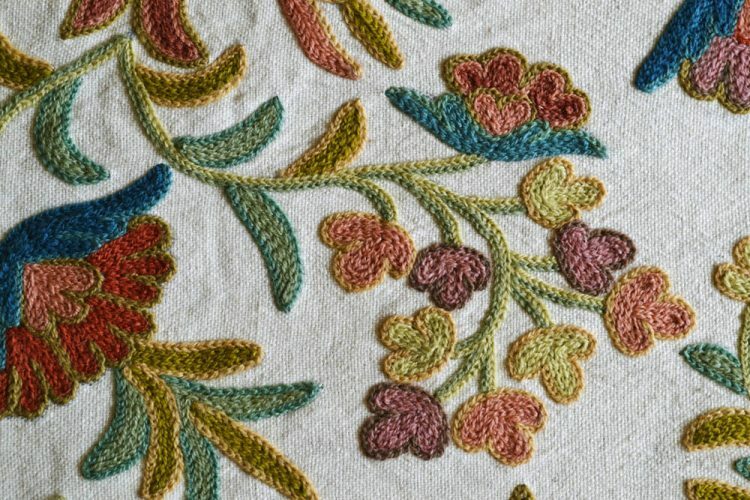 Founded by Adrian Millar, a former cotton broker with 26 years experience in the Indian cotton trade, and now run by his daughter-in-law, Gail, our business has been trading since 1978 and we are therefore one of the oldest importers of crewel and have a wealth of expertise to draw upon. The partnership with our supplier has also continued through the generations and we are proud to be continuing to work with the family of artisans whose skill and expertise has enabled us to build and establish our business over 35 years. Testimonials from clients bear witness to our outstanding service and personal approach, with a finely tuned regard for detail and for the individual needs of each and every customer. With a client base which includes acclaimed interior designers from House & Garden’s ‘Directory of 100 Leading Designers’, the British Institute of Interior Design and the National Trust, we aim for authenticity in all our fabrics with strong historic references and sensitivity to contemporary tastes in modern British design, whilst maintaining a tangible link with the past. Our unique fabrics are designed to last, often becoming family heirlooms and handed down from generation to generation. 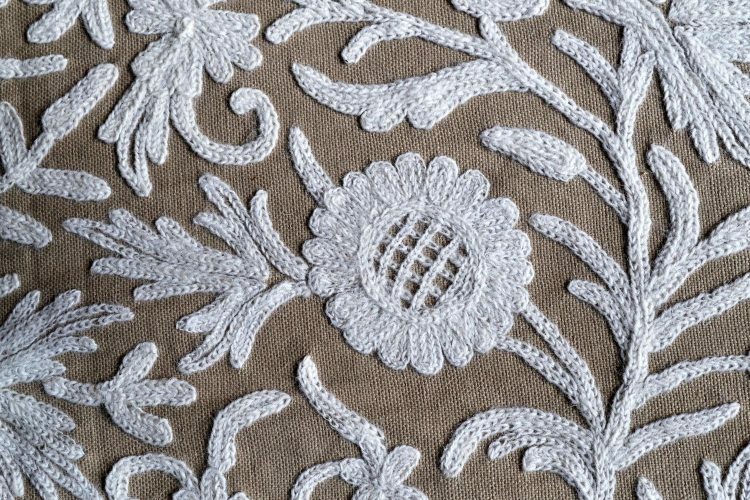 They are hand-crafted using only the highest quality materials available and the most durable 2 ply wool to create lengths of crewel embroidery with a timeless appeal. By using ancient methods of production, we are able to help support a continuing cottage industry and sustainable way of life for our artisans in rural Kashmir, whilst minimising our impact on the environment. Our retail customers include a significant number with period properties, many of whom are members of the Historic Houses Association, the Listed property Owners Club and the Society for the Preservation of Ancient Buildings. 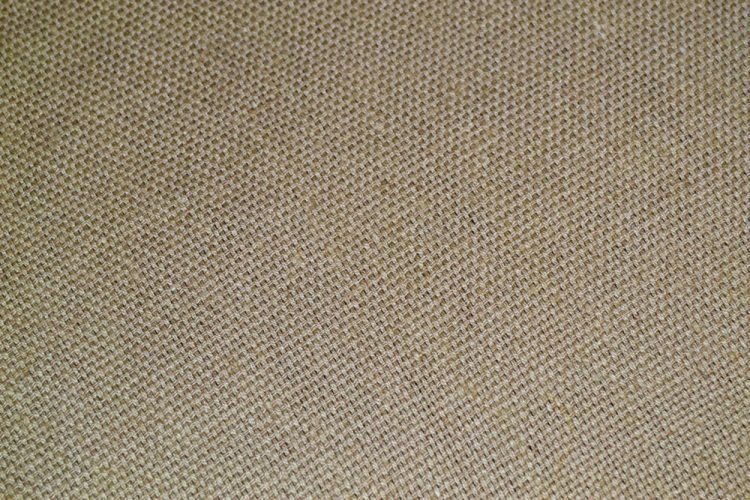 However, because our fabrics are all 100% natural fibres and entirely handmade, we are also suppliers to an increasing number of architects involved in the design of new builds and eco-homes.